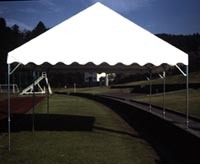 This tent is indispensable for grand scale special events. Our best-selling product for events, gatherings and emergencies. 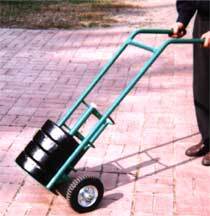 Easy installation, foldable, easy to carry. 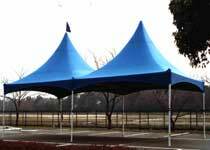 An adjustable tent pole makes horizontal setup possible, even on un-even ground! This refreshingly colorful tent creates a festive atmosphere! 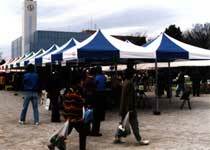 Good for exhibitions, various special events and for portable street-stalls at festive occasions. 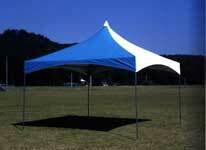 Distinctive and showy, this tent’s set up is quick and easy. Are you fully prepared for the unexpected? Is your back-up plan ready? in order to prevent a mishap from an unexpected wind gust. 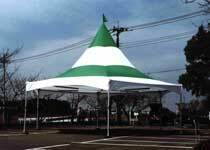 Quick and easy set-up is no problem due to the lightweight frame made of an aluminum compound.Our colorful event tent is a fine spectacle to help make your occasion a success! Easy set-up. For multi-use occasions. 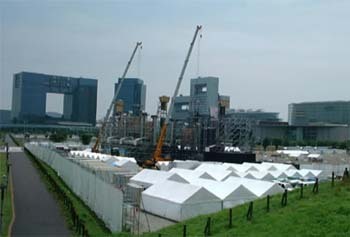 Its monolithic structure allows easy two-person set-up. 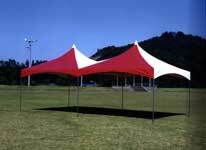 Available in various colors and size ranges.Perfect choice for various outdoor sports events. 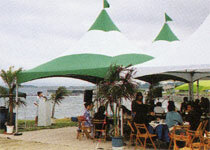 Its monolithic structure allows easy two-person set-up. Available in various colors and size ranges. All Rights Reserved, GOTO INDUSTRY Corporation.